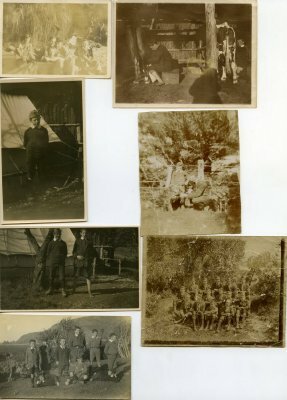 Description Collection of 9 photographs with unidentified people from Stace collection. 7. Group of 9 boys in uniform (x2). 8. Teacher with 7 students - teacher standing on far left. 9. 5 children with 2 dogs. 3 children on tricycles. 10. 10 Boys, in uniform, with dog, standing outside school building. 11. 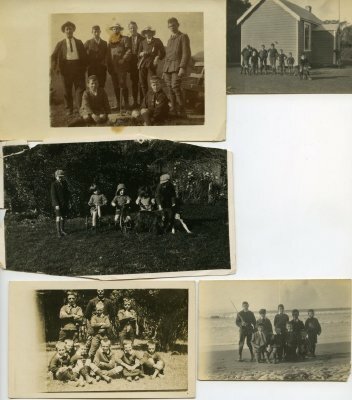 9 boys, in uniform, on the beach with sea behind them. 12. 9 boys, in uniform, with Everard M. Stace. 13. 18 boys seated on rocks, 1 boy seated on sand with a dog. 14. 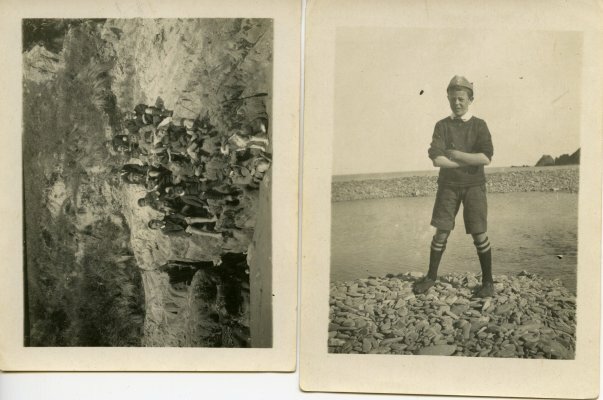 Young boy, in uniform, standing on rocks on the shore.